Our Labor Law practice covers issues concerning labor standards compliance, labor relations and social legislation. The lawyers are highly-trained practitioners with wide-ranging experiences in providing legal, practical, efficient and viable solutions to complex labor-related issues and concerns. They offer unparalleled professionalism in giving prompt and quality assistance to our clients’ needs. Our firm guides its clients in complying with statutory and reportorial requirements relating to the minimum terms and conditions that employers provide such as on wages, hours of work, and safety and health of workers. Our firm likewise provides assistance in drafting and implementing employment contracts and in the efficient handling of disciplinary proceedings including sexual harassment cases in the industrial setting. Recognizing the challenges and demands of the complexities of current international business developments, our lawyers are proficient in best practices that are designed to result in a healthy balance in achieving management’s economic objectives like structuring work force reduction or work hours adjustment, or independent contractor arrangement while viably compliant with labor standards. While leaving wide latitude of management prerogative to the clients, our labor lawyers conduct close monitoring services and workshops to aid our clients’ human resources personnel in their day-to-day operations. Our firm helps its clients understand and solve problems in relation to social legislations such as the Social Security Law, National Health Insurance Act and the Home Development Mutual Fund Law. Our firm likewise handles matters on labor relations which define the status, rights and duties as well as institutional mechanisms that govern individual and collective interactions between management and labor and the latter’s representatives such as federations and unions. Our lawyers assist clients in collective bargaining or negotiation and adopt a pro-active and hands-on approach in helping them understand the legal intricacies and practical considerations of labor-management relations. Our firm assists clients in forging industrial harmony by setting mechanisms like Labor-Management Councils and in structuring grievance machinery procedures tailored to address specific circumstances. If needed, our lawyers provide frontline representation in peaceful concerted activities such as strikes and lockouts. While we adopt a preventive approach of proactively resolving labor disputes at company level, our firm maintains a roster of lawyers who advocate our clients’ cause and interests before relevant quasi-judicial bodies and agencies and appellate courts. 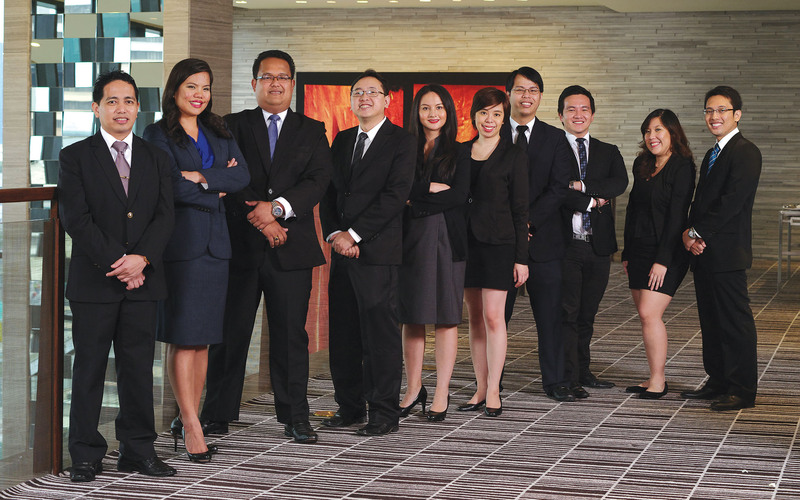 Our litigators have extensive practice before the National Labor Relations Commission (NLRC), both in the Labor Arbiter and Commission levels, the Voluntary Arbitrators, National Conciliation and Mediation Board (NCMB), Bureau of Labor Relations (BLR), Office of the Secretary of Labor and Employment (DOLE), Overseas Workers Welfare Administration (OWWA), and the Philippine Overseas and Employment Administration (POEA), among others.